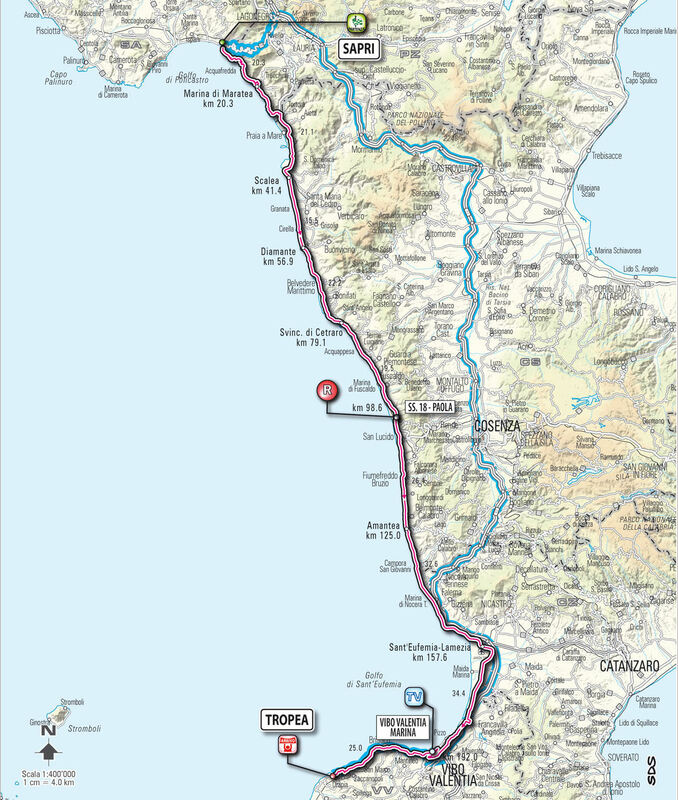 Today’s route sticks to the coastine for the entire marathon stage, where it is expected that the peloton will be pegged by the wind for the 217 kilometers from Salpi to Tropea. It seems fitting then, that the islands just to the west in the Tyrrhenian Sea, are known as the Aeolian Islands, named for Aeolus, the god of the wind. About 60 kilometers west of Tropea lies Stromboli. The island is formed by the famous volcano of the same name. Stromboli has been continuously active for 3,000 years, erupting perhaps every 20 minutes with spectacular fireworks, lava bombs, streams of fiery molten rock and showers of ash. Because of it’s brilliance, reliablity and the availability of viewing stations, Stromboli is said to be the best place on earth to witness volcanic activity, in spite of its remote location. Any volcano in a state of constant mild eruptive activity is said to be strombolian. Stromboli is also the name of a tasty dish similar to the Italian-American calzone.